Buy 1 for $12.87Buy 2 / Save $0.69!Buy 3 / Save $2.58! This is a top quality nutrient that I use in conjunction with other minerals vitamins and amino acids. 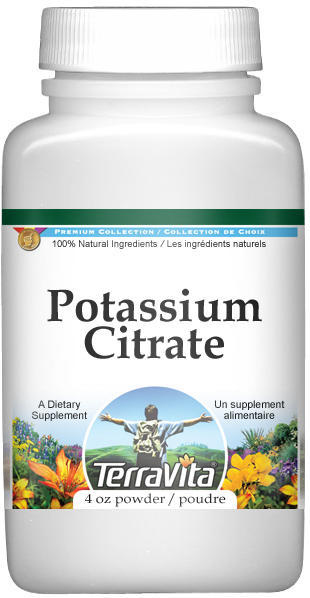 Zooscape is the only place to buy potassium citrate in powder form that I can find on the internet. This is the best potassium I've ever taken. I have to take diuretics for high blood pressure. This form of potassium helps restore the potassium lost from the diuretics, but also makes me feel revitalized and energetic. It's a wonderful product.